John Reny, president of Renys, announced this week that a new “Maine Adventure” is coming to Windham. The new store will occupy the corner space in The Windham Mall on Route 302, previously occupied by Big Lots and Summit Adventures. “I think it’s going to be a good location for us,” said Reny. Windham had been on the Renys radar for the past two years, but with a new computer system, they weren’t ready to open a new store, he added. Reny’s will occupy 27,000 square feet in the old Big Lots location. Summit Adventures has been using the space and will consolidate their operations into the left side of the existing space, according to WRE Commercial Brokers, who lease the space at The Windham Mall. A new entrance will be built for Summit Adventures. “They decided they like the market and asked for space,” said Windham Economic Development Corporation director Tom Bartell. “This provides another option for shoppers and a draw to bring folks to Windham. It’s a nice thing to have.” The nearest Renys is in Bridgton. “We are excited to add another Renys location to our group of stores – There are many great towns in Maine that we would love to be in and Windham is one that we have driven by daily to bring great values to our Bridgton store and will be a great addition,” Reny said. Construction has begun “Reny-vating” the space for the new store. Reny anticipates that fixtures will be placed in March and the store will open in April. There will also be a new front on the store. “We try to make it nice. We have customers to have a nice, clean shopping experience,” he said. “We hope they really like what they see. Great deals, new merchandise, quality at a good price.” Renys is known for carrying Timberland boots, Carhartt and Smartwool socks, to name a few items. “We live here, we know what you need,” said Reny. 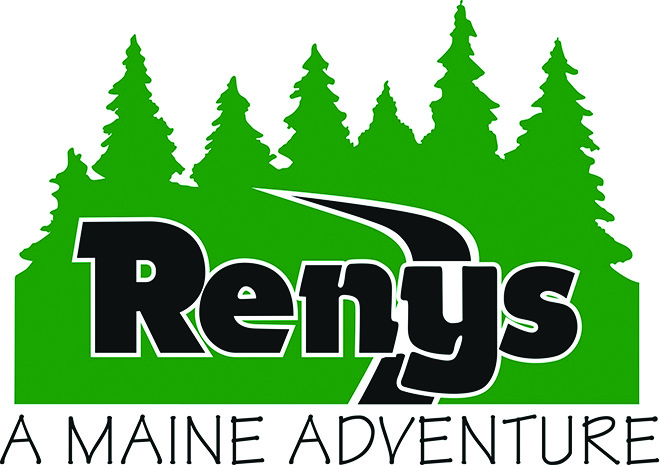 "Renys is a landmark Maine business, and it will be great to have Windham be a part of Renys Maine Adventure," said Windham town manager Tony Plante. The new store will employee between 40 and 50 people full and part time combined. “It’s going to be a busy store,” said Reny. Renys most recently opened stores in Portland and Topsham in 2011 and currently has 16 locations across Maine. Founded in Damariscotta in 1949, Renys continues to succeed, employing over 500 people across the state. “We are excited to be part of your town,” added Faustine Reny.